The Evil Dead? Yeah, I’ll Take That. | Critical End! 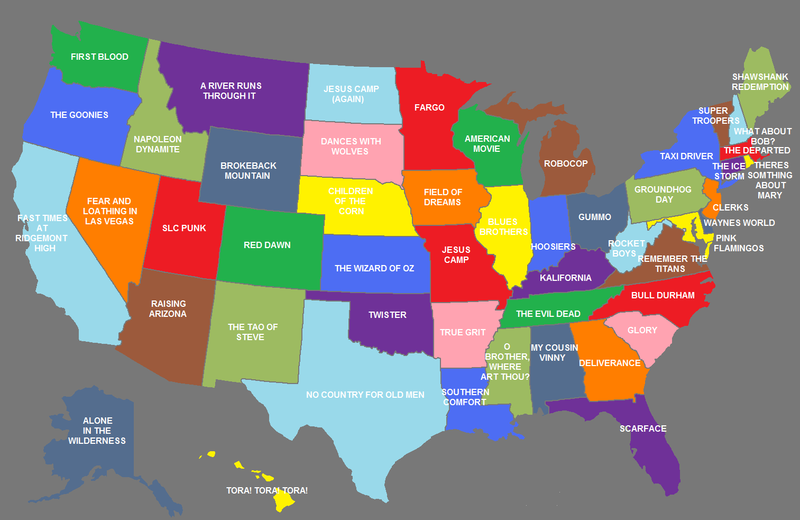 It appears that some movie nerd (that wasn’t us) made a great map of the United States marked with which movie best represents each state. This is one of those things that is so streets ahead that I really wish I had come up with it. Drat. I’m really digging how many of these are the exact same films I would have chosen. So…any disagreements? Proud of your state film? This entry was posted on Tuesday, November 2nd, 2010 at 6:24 amand is filed under . You can follow any responses to this entry through the RSS 2.0 feed. Both comments and pings are currently closed. Uh, shouldn’t Wayne’s World be Illinois? I’m so confused.